I was asked to be a visiting professor at Tzu Chi University in Hualien, Taiwan, in November 2018. My task was to give talks on pedagogy and do teaching observations. I had visited Hualien briefly in November 2016 while on a two-week Fulbright visit to National Taiwan University in Taipei. 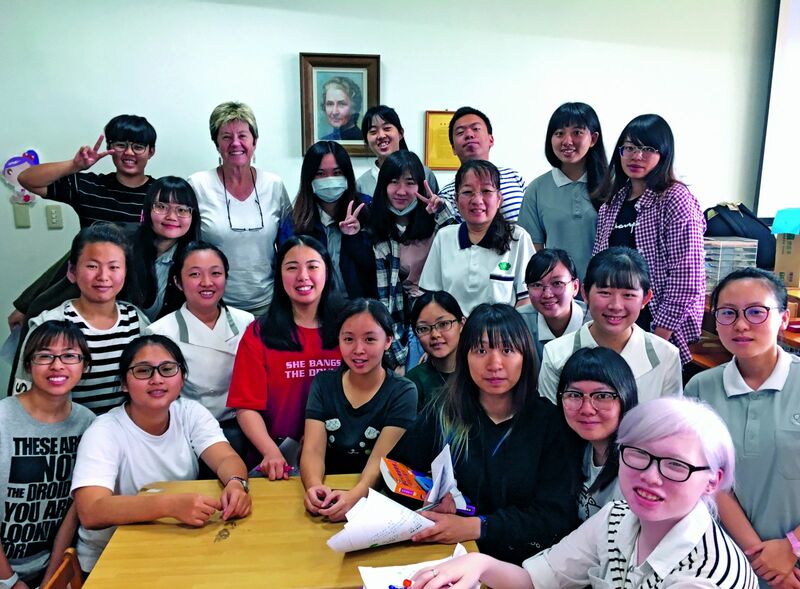 During that first time in Hualien, I gave a three-hour workshop at Tzu Chi University on Active Teaching Strategies. The faculty members who attended enjoyed this so much that I was invited back two years later—as the now retired director of an office of faculty development in Alaska. During that second time at Tzu Chi University, I was assigned to the College of Education and Communications, which is comprised of the departments of Teaching Education, Child Development and Family Studies, and Communications. I began by doing teaching observations in the Department of Communications and in the Department of Child Development and Family Studies. I knew nothing of the latter, but my doctorate is in communications so I was at home in the former. During the remainder of my visit, I gave talks about teaching, had interactions with students, attended meetings with departments to discuss a variety of topics, and presented a slide show about my life (which was requested at the last minute). My accommodation was in one of the five enormous but very attractive apartment buildings on campus, just above a lovely day-care center. The eighth floor is for Tzu Chi University visitors. My apartment was spacious with two balconies and a view of the beautiful mountains which are the backdrop of Hualien. The rest of the building is for faculty members, their families, and visitors to the Tzu Chi Foundation. November was a good time to visit because the weather was agreeable, with only a few rainy days. Mornings in Hualien were lovely, with blue skies and sunshine. Temperatures were in the 70s, and the humidity was low. Each afternoon it clouded over, got muggy and usually resulted in a short rainfall. I learned to always have an umbrella with me! I quickly found a few tiny restaurants near campus, my favorite being a dumpling shop where I would pick up dumplings for NT$5 each, add some soy or other sauces, and take home to eat. My apartment had two large flat screen televisions, so I was entertained by Taiwanese television stations. At 9:45 each night the Public Television station provided ten minutes of news in English, which I tried not to miss. A national election was held on November 24, and the reportage building up to this was interesting. Ten controversial referenda were on the ballot, and the visual advertising for candidates and the referenda blanketed the city. I was taken to a voting site by a faculty friend to witness democracy in action. I also hiked through the awesome Taroko Gorge, and I was driven to hot springs further south. 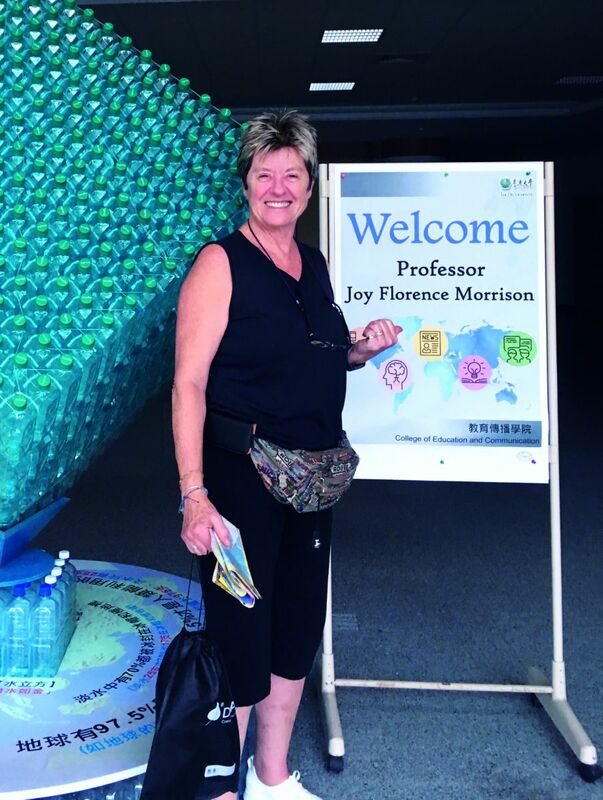 During my first visit in 2016, I found out about the Tzu Chi Foundation, its international relief work, and its large recycling program, and I wanted to learn more. A tour of the beautiful Jing Si Hall reveals extensive educational displays of all the Foundation activities, which are very affecting. At the mid-point of the tour, there is a short introductory film, and another one about the founder, Dharma Master Cheng Yen. It is emotionally exhausting and very impressive. Tzu Chi means “compassionate relief,” and it lives up to its name. When I got to the section on aid and relief to my own country, South Africa, it was all too much for me to handle without tearing up. I vowed then and there to become a Tzu Chi volunteer. I am not Buddhist (nor am I a member of any religion), but the work this Foundation is doing is quite amazing. Volunteers of any denomination, or none, are welcomed. DA.AI has developed recycled textile raw materials, such as recycled poly chips, recycled polyester fibers and recycled fabrics. These recycled raw materials are then used to produce eco-products such as clothing, beddings, and other everyday textile products. The university has its own recycling center, which is large and very active. Senior citizens make up the workforce, and they are provided lunch each day. They get to socialize and feel useful, an aspect I liked. I discovered that the vans that come around each night at 7:10 to the dorms and campus apartments are to collect either trash or recycling. They are heralded by a music-box sound that reminded me of the ice-cream trucks that used to visit the neighborhood where I grew up. I am very grateful to Dr. Ingrid Liu, vice-president of Tzu Chi University, for inviting me to Taiwan, and to Walter Huang, chairman of DA.AI Technology in Taipei, who arranged a tour in Taipei of Da Ai Television, the Neihu Recycling Education Center, and DA.AI Technology. He also arranged for me to meet Master Cheng Yen, which was a great honor. On my return to Portland, Oregon, I filled out a Volunteer Application form and attended an evening of Tzu Chi short films and panel discussions. There I learned even more about the Foundation and its work in prisons in the USA, and I met the local Tzu Chi staff and volunteers. I now await the start of my training with eagerness!